The Long Tail is like the Force(Yes, as in Star Wars). It permeates everything you do online and binds all facets of your internet marketing. Well, perhaps that is a bit farfetched, but it is a very important concept and relevant for anyone trying to create an online presence for themselves or their business. 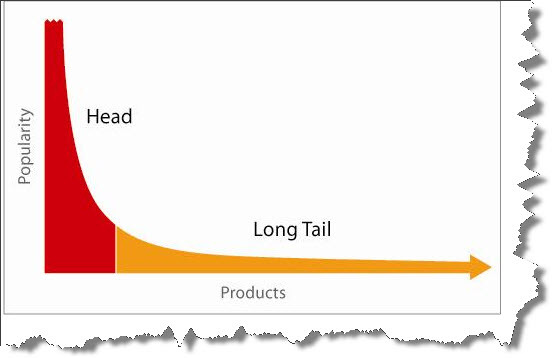 For those who came in late, the term "long tail" was coined by Chris Anderson to describe the business strategy of e-Tailers such as Amazon.com that sell a high volume of say thousands of popular items (the head portion in the graph below, in red) and low volume of hundreds of thousands of niche or unique items (the mustard tail portion in the image below). According Anderson's long tail blog, over the course of time if you grow the tail portion of graph "the potential aggregate size of the many small markets in goods that don't individually sell well enough for traditional retail and broadcast distribution may someday rival that of the existing large market in goods that do cross that economic bar." The tag line of his book is aptly termed "Why the Future of Business is Selling Less of More." SEO is an important part of your inbound marketing strategy and you should optimize your site for hundreds if not thousdands of keywords, especially long tail key phrases. e.g. 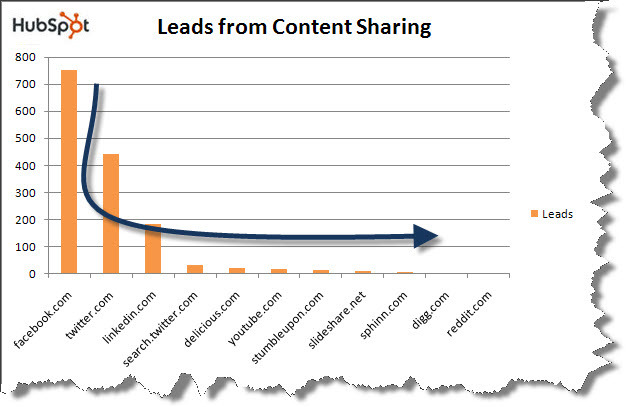 "internet marketing for lead generation" would be a good long tail key phrase, compared to just inbound marketing. 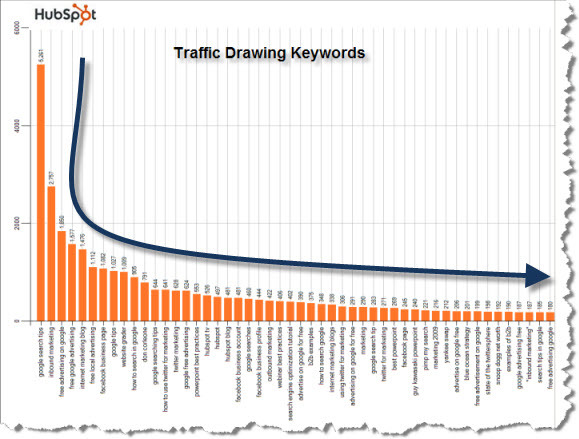 Long tail key phrases may drive a low volume of traffic but as you can see in the graph above, the combined traffic of all the keywords in the tail portion really matter. 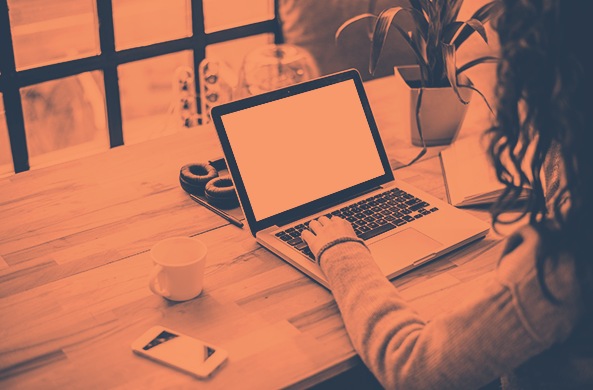 Also, in my experience, visitors to your site from long tail key phrases tend to be better leads as they are searching for something very specific. Avinash Kaushik, an analytics guru, recommends that you use SEO to tackle keywords in the head of your long tail graph and use PPC to drive traffic for long tail keywords. Here's a gritty but awesome article by him. 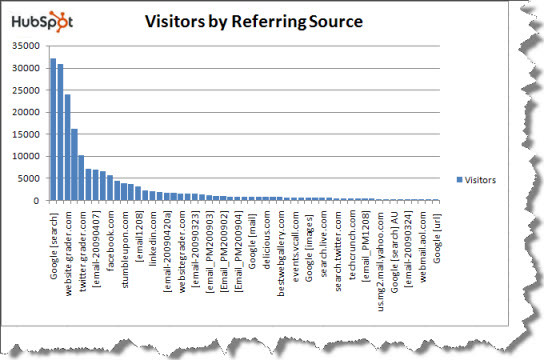 Is it a surprise that sites with the most content also attract the most visitors? Craigslist.org, eBay.com, Amazon.com, etc. are great examples of sites providing a huge variety of content that helps them attract millions of visitors. 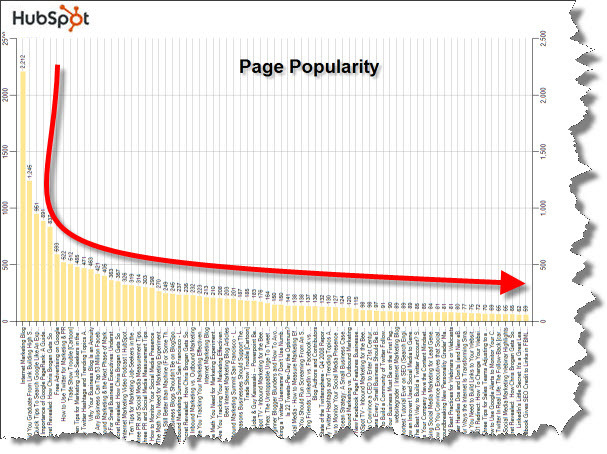 Above is a snapshot of popular pages from the HubSpot blog. The blog home page and a couple of articles that made it to the Digg and Reddit home pages continue to drive a lot of visitors. But over time look at how many page views we get for all the other pages! Even towards the far end of the long tail the last 20 or so content sources drove more than a 1000 page views. That is serious business! Part of your strategy should be to gain more followers and fans on various social networks and sites. 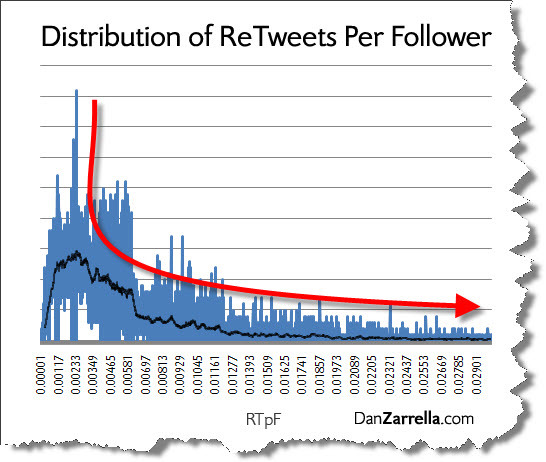 In the example below, Dan Zarrella shows us this incredible distribution of retweets per follower. Here you can see that there's a core group of most engaged followers (the head) that does a lot of retweeting. At the same time, the sum of the retweets by people who only retweet ocassionally is also a force to reckon with! Please bear in mind that the key to getting retweets is more about engaging people on twitter and sharing valuable content and less about gaining sheer numbers of followers. Now I don't mean that you should go out and pay a bunch of people to link to your site. What I sincerely wish is that everyone actively works on trying to pubish good content so other people link to your site. Some of those sites will drive you a lot of traffic and visitors. But as you can see above there are scores of site that can drive you a little bit of traffic every day and if some of those sites drive quality leads ... you can invest time and energy in building a relationship with them so you can grow that funnel. 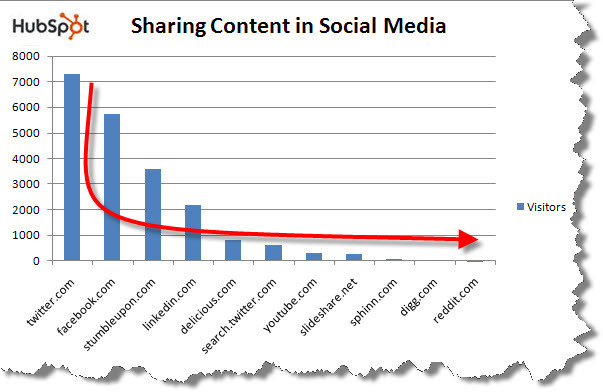 In the first graph below you can see the traffic HubSpot gets from all the social media sites where we actively share or upload content. If we did not share content on all the sites to the right of LinkedIn our site stats would be lighter at least a few thousand visitors. Taking that a step further, below are the leads we generated from the above sources. What would you give to get an extra few hundred leads? 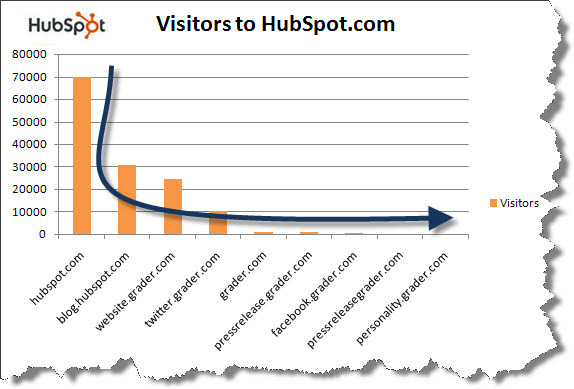 At HubSpot we do a great job at offering a lot of free tools and growing the traffic on those sites. It's like investing in real estate for investment purposes and over time we grow our portfolio of web properties each growing in reach. 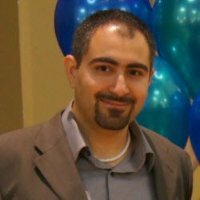 Agreed, it is not easy for everyone to build lots of tools and manage multiple sites. But you could invest in a blog and you could build micro sites that serve a similar purpose. 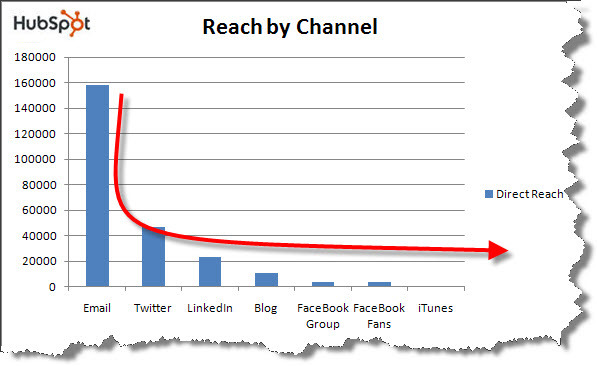 The result of such an activity is the graph below -- each site driving qualified traffic and leads back to your main hub. Maximize your opportunity by investing in a multitude of niche areas and sharing your content widely. 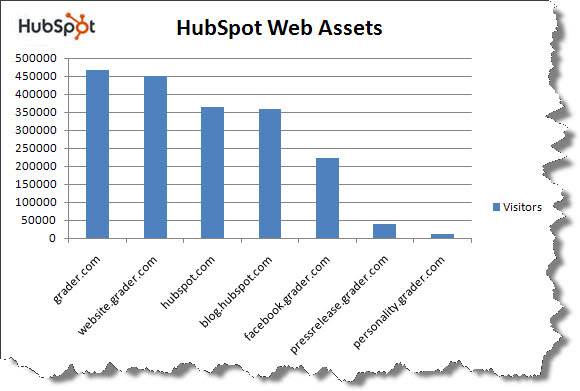 Diversify your keyword, content and web asset portfolios. You yield better results and reduce the risks by not putting all your eggs in one basket. There is significant value in getting bite-sized results from many sources. 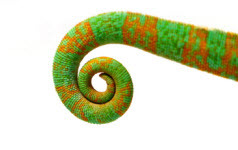 What are some of the ways you are leveraging the long tail in your marketing? Please share your thoughts in the comments! 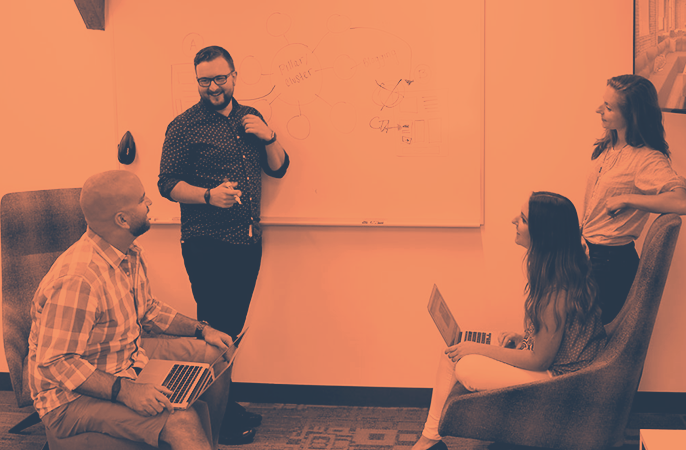 Optimize your website to get found by more prospects and convert more of them into leads and paying customers with HubSpot's inbound marketing system.